The Brave New World of the Enlightenment is a brilliant introduction to the thought of those centuries, illuminating with a rare intelligence the ideas that brought forth the Enlightenment and the ensuing confusion of our age. 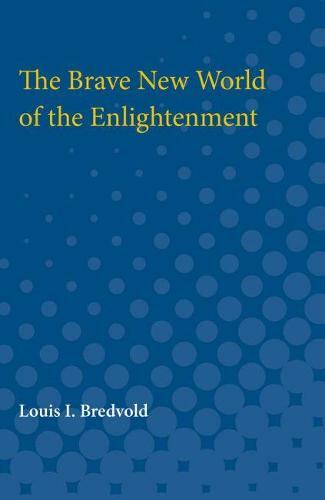 In a sustained and incisive critique the distinguished scholar Louis I. Bredvold distills and expounds the thought of Descartes, Spinoza, Leibniz, Locke, Condillac, Hartley, Helvetius, Diderot, and Rousseau, revealing revolutions unprecedented in the history of man. And in so doing he shows the limitations of rationalism, bringing into clear focus the dangers of our lingering inheritance. For, he says, quoting Reinhold Niebuhr, ""No cumulation of contradictory evidence seems to disturb modern man's good opinion of himself.